The Huawei P30 Pro has been in my hands since the launch event and I've had the chance to put it to work. After wandering around the French capital where the event was held and then flying back to Berlin, it's time to tell you how the new Huawei flagship fared in these first 48 hours (during which I didn't even have to charge it). Huawei's P series has always focused on photographic performance. The P9 was the first smartphone to popularize the use of a second photo sensor, while the P10 improved the selfie camera thanks to the continued collaboration with Leica. The P20 Pro, on the other hand, took advantage of the remarkable 40 megapixel sensors and improved the quality of the hybrid zoom. 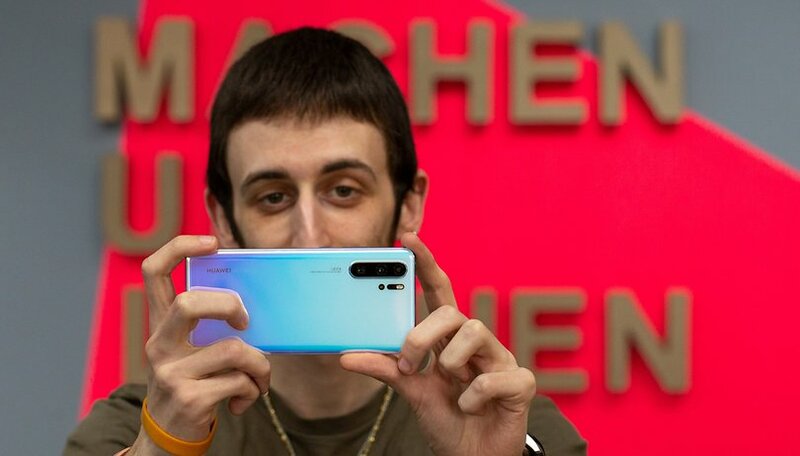 The Huawei P30 Pro takes it one step further with the new Super Spectrum sensor and the addition of a wide angle lens, a telephoto lens with a periscope and a ToF sensor. For now, I want to refrain from judging the shots produced by this smartphone. I'll need more evidence. However, I can assure you that the variety and quality of these cameras makes P30 Pro incredibly fun to use. The ability to use a 10x zoom with virtually no quality loss is unique in the smartphone landscape. On the other hand, the 50x digital zoom, despite the visible loss of quality, is phenomenal. I can't wait to spend a little more time with this smartphone to put its photographic skills to the test! This is another aspect that the Huawei P series has always focused on. The P30 Pro, like its predecessors, has a very elegant design. The Breathing Crystal color I received as a review device is quite the attention grabber and its construction is solid and pleasant. Unfortunately, the smartphone is quite heavy but it is a price you have to pay for the quality of construction and all the metal, glass and lenses inserted in this smartphone. On board the P30 Pro we find the Kirin 980, which we are already familiar with from the Mate 20 range. It's almost useless to repeat how this SoC combined with 8GB of RAM, fast storage and software optimizations from Huawei, just flies under your fingertips. As we have already seen when reviewing multiple other devices, the recent Huawei flagships are damn fast. The optical fingerprint reader located underneath the display and the unlocking with face recognition are also extremely fast. However, that is to the detriment of the increased security provided by an ultrasonic fingerprint or 3D face scanners with a ToF sensor. All that glitters is not gold, and the perfect smartphone for everyone does not exist. I will never tire of repeating this. When buying P30 Pro you will have to accept small compromises such as lower biometric security (nothing alarming, which should be clear). To give you an example, on the P30 Pro Huawei has introduced a system that can vibrate the screen to transmit sounds, eliminating the classic earphone capsule. This system works well for calls, however because of this, you will have to give up a stereo speaker setup, in addition to the already annoying loss of the headphone jack. The internal memory is expandable but only thanks to the proprietary cards of the Chinese company (no MicroSD). Additionally, Huawei's EMUI still divides users: there are those comfortable with it and those who just can't stand it. Having said that, it's time to start testing the P30 Pro for the full review, which you will find on AndroidPIT very soon. Do you have any doubts you'd like us to take away when reviewing the Huawei P30 Pro? What would you like us to discuss about the new Huawei flagship? Let us know in the comments. lol i can't help but wonder why you always inject yourself into the thumbnails?